An Upper Respiratory Infection (URI) is a fast moving bacterial infection of the respiratory system which begins in the sinus, and quickly migrates to the lungs. If left untreated, URIs are almost always fatal. As guinea pigs are prey animals, they are very good at hiding their illnesses. Your guinea pig may appear as their usual self one day but begin to show more symptoms over the follow days. It is key to be able to identify early signs of illness to ensure the best chance of survival for your guinea pig. It is important to note that guinea pigs do not get cold viruses, so if they are showing any of the above symptoms the infection will not simply go away. If your guinea pig is showing any of the above symptoms, see a vet immediately. Here is a list of recommended vet clinics in Australia. Once your guinea pig is diagnosed with a URI by a veterinarian, they will prescribe a guinea pig safe antibiotic such as Bactrim (Trimethoprim), Doxycycline or Baytril. It’s important to ask your vet how long it will take before the antibiotics begin to work (usually between 1 – 3 days) and to give your guinea pig the full run of antibiotics prescribed by your vet unless otherwise advised. Contact your vet if there is no improvement in the specified time, as in some cases a change of antibiotics or combination of medication can better resolve a URI. You should always see an improvement in your guinea pigs health while on antibiotics but if not, it may mean there are further health complications. During your guinea pigs recovery process, it’s important to keep them in quarantine, away from any other guinea pigs as URI’s are contagious and can spread quickly to others. Keeping your guinea pig at a stable temperature is also important in ensuring a quick recovery. Probiotics: While your guinea pig is taking antibiotics, it’s beneficial to their health that they are also given a probiotic to help restore the balance of microflora in the digestive tract which antibiotics can upset. The most effective probiotic for a guinea pig is a fresh dropping from a different, healthy guinea pig. Some guinea pigs may eat this as a fresh dropping while others may prefer it to be dissolved in a small amount of water and fed via a syringe. If droppings of another healthy guinea pig are not available, a small amount of powder from an acidophilus tablet will aid in restoring gut flora as well. Note that as guinea pigs are herbivores, no dairy products (such as yoghurt) should be given as a probiotic. Dangerous Medication: A vet who is inexperienced with the treatment of guinea pigs may prescribeAmoxicillin (Clavamox) which can be fatal to guinea pigs. If your vet prescribes Amoxicillin, or any other form of penicillin based drug please seek another vet. Baytril: While Baytril is a guinea pig safe antibiotic, it can sometimes affect the appetite of your guinea pig and they may stop eating. It is vital to hand or syringe feed your guinea pig during these times, to ensure they have the best chance of survival. Critical Care by OxBow is a key formula to feed your guinea pig during times of illness or lack of appetite, as it is specially formulated for herbivores and has the much needed fibre which is necessary to encourage proper microbial growth in the digestive system. Upper Respiratory Infections can only be treated by antibiotics, there is no ‘home cure’. 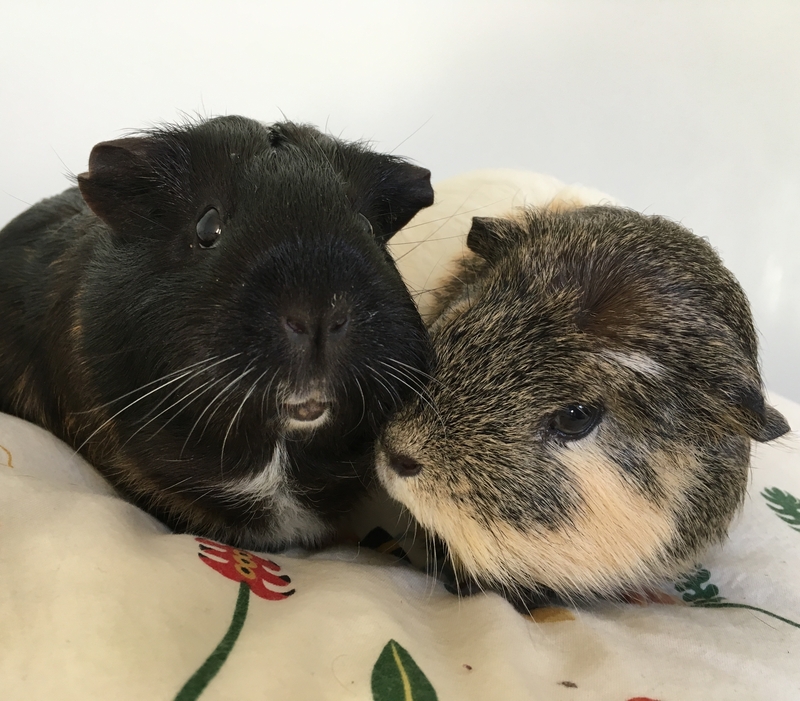 It is critical to get your guinea pig to a vet who is experienced in treating guinea pigs as soon as symptoms show, to ensure the best chance of survival. The most common cause of URIs in guinea pigs is exposure to other guinea pigs who are carrying bacteria (such as Bordetella bronchiseptica and Streptococcus pneumoniae), and as the bacteria is spread via sneezing or coughing it is easily infect others. While some guinea pigs may live a long time with this bacteria in their respiratory tract without showing any symptoms of illness, others with a weakened immune system may be more susceptible to falling ill. Stress: Guinea pigs are sensitive creatures that are quite prone to suffering from stress. 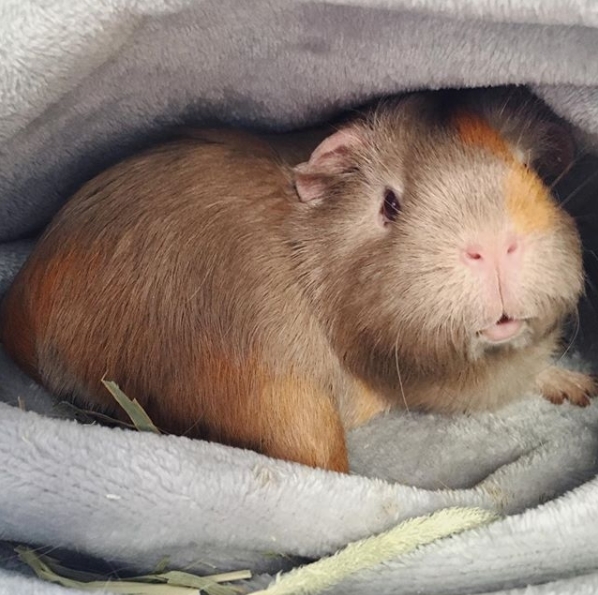 Ensure your guinea pigs enclosure is in a quiet part of your home, away from other pets like dogs and cats and that they are given enough time and space to relax without being handled. A lonesome guinea pig is often a stressed one, which is why it’s important to at least have two guinea pigs living together. Insufficient Diet: A guinea pig that lacks in proper nutrition is more likely to fall ill which is why it’s very important to ensure your guinea pig is eating a diet which meets their nutritional needs. 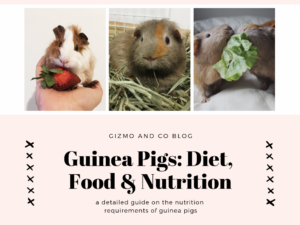 Read more about guinea pig diet & nutrition here. Temperature Changes: Cold air, drafts and drastic changes in temperature can also weaken the immune system so it’s important that your guinea pig is always in an environment with a warm, stable temperature. Dirty Environment: An unclean environment can not only make your guinea pig stressed and unhappy but it can also be home for much harmful bacteria that can make your guinea pig sick. It’s important that your guinea pig has clean and appropriate bedding, and that no mold, insects or stale food is in their enclosure at any time. How can you prevent URI’s in guinea pigs? Feeding a balanced diet which meets a guinea pigs nutritional needs. This includes supplying fresh hay, vegetables and ensuring they are getting enough vitamin C either via pellets, vegetables or supplements. Read more about guinea pig diet and nutrition here. Having a clean and pest-free environment, with frequently changed guinea pig friendly bedding. It’s important to ensure that the bedding is absorbent, free from dust and oils and cannot be inhaled or eaten. Polar fleece is a popular bedding choice for guinea pigs as it’s soft, comfortable and easy to clean however requires a fair bit of laundry. Wood shavings is another great bedding for your guinea pigs, however it is vital that you choose wood shavings that have been kiln dried and are free from any aromatic oils. Read more about guinea pig housing and bedding here. Rotating and rearranging their hidey huts and cuddle toys so they are not sleeping where they urinate or defecate. Keeping your guinea pigs housing in a room which maintains a stable temperature (between 18-22C) and is draft free. Washing your hands before holding or interacting with your guinea pig after you have handled other pets, or while you are sick. 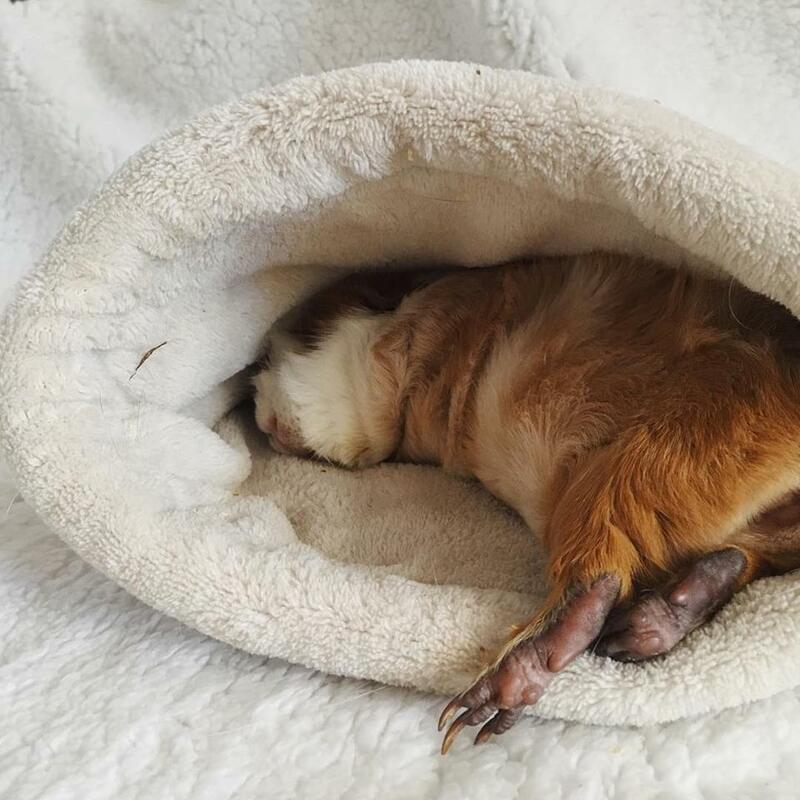 Reducing stress levels for your guinea pig where possible, such as keeping them away from other pets (like cats or dogs), loud noises, and bright lights. Preventing the use of strong fragrances around your guinea pigs such as perfumes, aerosol cans or insect repellents. Upper Respiratory Infections are highly contagious which is why the ill guinea pig must be placed in quarantine as soon as symptoms begin to show, and during treatment of the URI. How long can a guinea pig live with a URI? If left untreated, your guinea pigs health will rapidly decline in a matter of days or even hours. Some guinea pigs may die within 48 hours after showing their first signs of illness. They are very fragile creatures and URIs can only be treated by medication as there is no ‘home cure’.